HOW TO CHOOSE WHAT DEISGN METHOD? I want to revisit the CEAP method again as I feel this is a big topic that has lots of information to collect, inspiration from others to glean. I am aware of the need to include with awareness the elements of Observation or Survey in the Collect information stage. Analysis of options in the Evaluation stage - crucially is it worth doing? Putting ones energy into? The Design process needs to have the ethics and principles worked into it to ensure an applied permacultural design. One thing that I have learnt is that community garden spaces all take maintenance and a commitment to maintenance. It may be an area for Herbaculture CIC to take on contracts of maintenance but also the need to plan how the space will be used with resources allocated for that too. 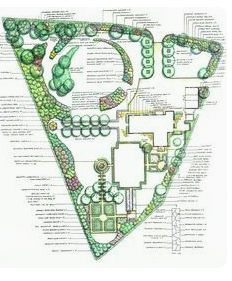 I started thinking about this idea soon after the permaculture certificate which I got in Brazil in 2003. 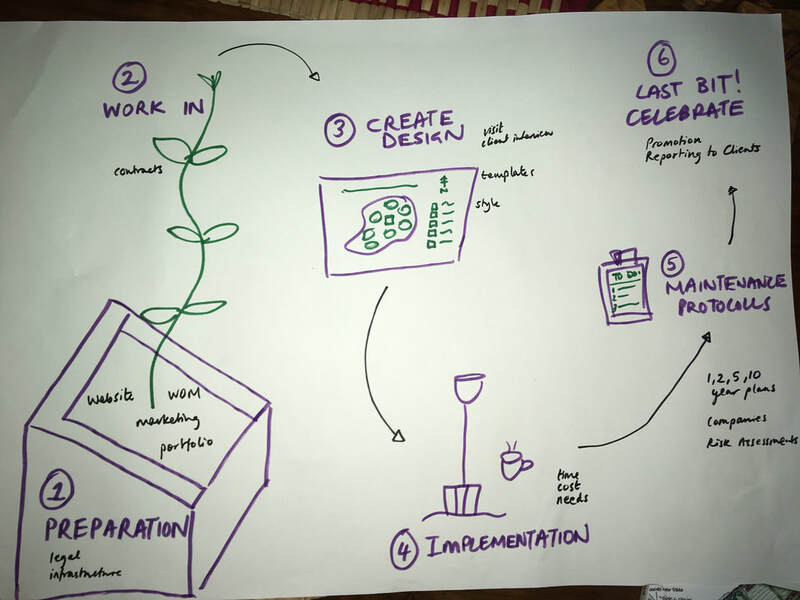 Initially I wanted to set up a design co-operative with other local permaculturalists to create a Permaculture Consultantcy Co-op (see below) but relevant to herbaculture too - Anyway that didn't come about but I continued the dream about being a permaculture designer. The above document Permacoop is really for historical reference as the inspiration behind the consultancy idea when it was thought to be a co-operative business. Steve has since passed away and I am more aware of the implications of working in a co-operative and am looking to start off on my own. Now I am thinking of a community interest company legal structure to link the design consultancy with the community health clubs in the previous design. I am currently doing it on my own although I am considering looking for landscapers and colleagues who might want to join me in the future. permaculturalists like James Non Stuff​ https://nonstuff.co.uk/ James has this on his website which I love: Like many, I’m working towards a truly sustainable society. However, I’m interested in a truly sustainable society that is also having a good time, because “If it’s not fun, it’s not sustainable” (Guy Dauncey). 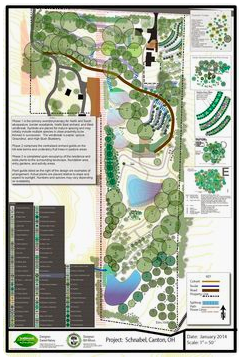 1) Have templates relating to the Permaculture/ Herbaculture Consultancy. e.g. Initial Leaflet, Proposal Quotes, Base Map presentations and final reports. Options to provide Maintenance with schedule of needed maintenance. 2) Explaining what permaculture is as I go. How best to do that? Using the ethics and principles to inform design and to do as much relating aspects of the clients wishes to sustainability and regeneration. 3) Get a portfolio together...... I need to have some designs to show folk that meet a professional standard. I know I am prone to sketches rather than mm perfect drawings. Are clients able to grasp need for medium term thinking, maintenance and budgets. 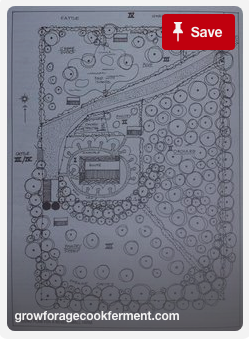 One concern is that I have never met someone who has had a garden design done. Rich people are not who I am wanting to work for (at least not all the time). Community groups are unlikely to have money to spare but I can help them apply for funding. Seeing other organisation online makes me think that it is possible. One CIC that Id never heard of has it's business address a few miles away so Im hoping to work with them or at least offer to work with them. I know that it inspired me and designing add an extra arrow to Herbaculture CIC's bow. personal boundaries may mean i get asked to do lots of designs for free. financial ability to earn money doing this. there may be additional insurance issues with design liability or simple public liability when gardening. NW Ipswich Big Local area? income from jobs has to be the main priority,target business work to create calming environments for staff. ​What are my outcomes of the Evaluation? First off the designs above are all much better than my sketches so I have something to aim for. I took these below images from a search on 'permaculture design templates' - sorry they are not all referenced. Also there are some hand drawn but it seems that getting competent with a computer is a good idea. The evaluation for me is that I want to be professional and I want to look competent. I have some artistic flair and that is great to keep my 'Dano-ness' as why someone might choose me. Site visit sketches can have this loose hand drawn quality. Other designers give their plans for others to implement and that does then mean preciseness is needed and this suits computers. I also know that if you specify which variety of blackcurrant to use and they are not available you need to be flexible so designs need tweaking. 8. Just do it. Im doing it! 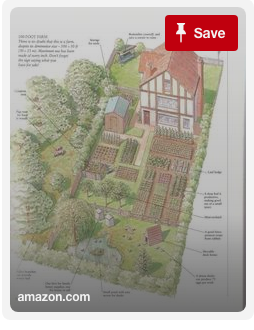 The school of permaculture article says starting at $300 a day (£215) for design and implementation which seems fair. "True that I did not get as many jobs when I was charging that high, but by doing so it did create the market value in the area, which was/is totally worth doing." This allowed his students to charge £350/ day easily. James Chapman says his charges depend in part on what the client can afford so a price ranging from £120 - £320 day. Move evaluation as to who is doing this locally to me? I don't know what they charge but I wrote to them about working with them on using my designs and also maybe I could facilitate sessions where they have worked in the past. Hannah I know you will have got this far if you can tell me the going rate for an 'average' design. Thanks for your feedback and point about empowering clients by teaching courses that help them design for themselves. 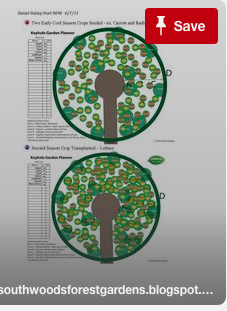 Im still looking for any templates that I can use and I think doing the course at a local horticultural college will help get these bits of the consultancy business up and running. They also have lots of design packages in the computer rooms so I will probably be spending lots of time there and getting help from students. What is your motivation for being a landscape designer? Penny: Inspired by art and plants. Big tip was to get familiar with Google Sketchup and watch video tutorials online. Was a little coy about working together as starting up herself. Her client group are well heeled individuals and says that she loves large blocks of one plant and formal styles. Simon: Spend years getting better at working with clients and getting his forms and procedures in place. Does implementation as well so doesn't do designs to others to follow. He says you need to be flexible. Charges vary but are generally £5K for a small garden including plants and implementation. He is in Scotland so unlikely to work together. Tip is to start and get word of mouth referrals. Heather: She had a lucky break working for a house building company and does lots of precise drawings for contractors to implement. 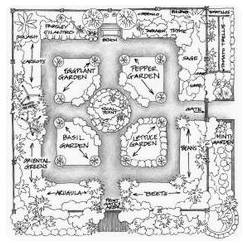 Costings and low maintenance plants are key and her big tip was that it is vital to hone the drawing skills and chase invoices. She will let me join her for a day to ask more and learn from her. Family friend so a useful link. Strengths: I love designing and this is a direction I want to develop. 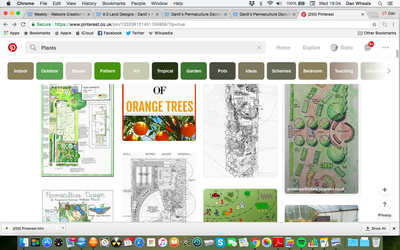 I have good plant knowledge and Im interested in creating and designing landscapes. 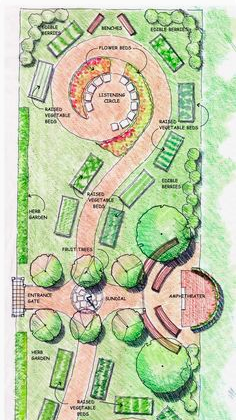 I think that designing healing garden spaces is more niche and something I am well suited to do. Weaknesses: I am less equipped to to hard landscaping. I don't have the tools, vehicle or skills with machinery. I think awareness of this weakness is the first step to remedying it. I have built my living area with mezzanines so not inept...... But I am on the look out to have a passionate hard landscaper on board. Opportunities: I can link up with others especially those looking for the designer. 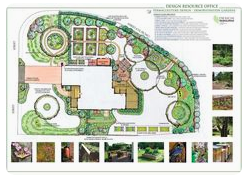 It's a natural progression to create designs in reality and not just on paper - I am looking forward to the chance to meet organisations and people who really want a healing garden designed for them. The garden designing adds to my herbaculture Ideas. Challenges: No clients as yet , insurance implications. Making the leap from hobby to job...... Insurance. POSITIVE + NEGATIVE - INTERESTING ? 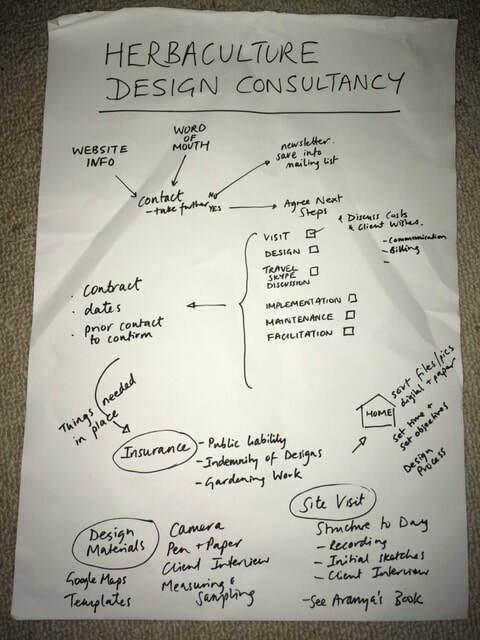 The design consultancy stacks together many interests of mine that relate: Designing a herb garden, a community garden, activities within these gardens such as Social prescribing and volunteering. In the initial meeting with NW IPS Big Lottery area they wanted a community garden but did not have the capacity to create one. This design consultancy idea would take a challenge like this on. 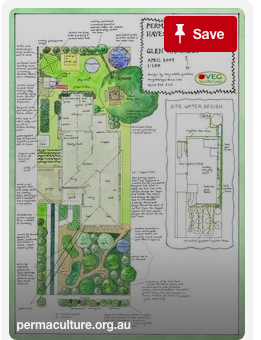 I see a future direction of mine as being a garden designer. It builds on my love of plants, interest in design, permaculture knowledge, community fascilitation and social enterprise ideas, got to be worth trying. I am unsure how exactly it will all work and this could provide a distraction from the Community Health Clubs. This is 'in progress' and I expect 2018 to be a year of learning on this front. 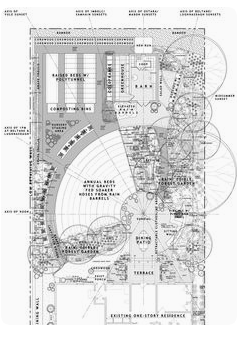 Garden design could complicate insurance so I need to work out if design indemnity insurance is worth getting sepparately. I don't have the software or technical drawing skills yet. I tend to be less than precise with scale drawings. Implementation and Maintenance are new areas for me so I will have to work on contracts. Social projects and funding can be very tenuous so designing for the Long Term is vital for success. I need to get clients, hopefully community initially to build a portfolio. I need to build partnerships with hard landscapers. I need to get a name within social prescribing and health commissioning circles. It is just me at the moment but I hope to build a brand that can grow in the future. I am interested in how to get business and community linked up. 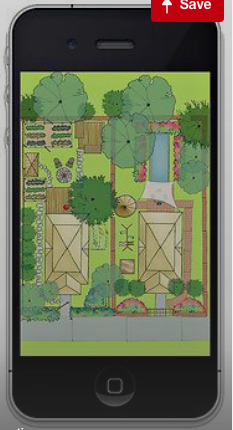 Also developing the natural wellbeing of herb gardening in an ever increasingly quick digital world. Does it help me work out how to use my time and energy? - I am starting and aim to be up and running by Summer 2018. If paid I will do, If I create a surplus or get funding I can do for less. I have one enquiry and one community interested so I think I will be getting some trial designs under my belt. ​Do I have a separation between design/ implementation / maintenance? - Crucially yes, make it clear to the client. The Permablitz idea is a really good one. I need to add Implentation Project Management to the templates needed. I thought I could use the zoning tool and apply it to this design. The centre being the more intensive and getting more extensive as you go out. I thought this could also lead me to clarity on my ethics and thoughts. If you can excuse the lack of diagrams I wanted to do this with words. Intensive is the central zone etc. supplementing and adding to herbalist career. herbaculture meme spreads and is recognised. some opportunity that I cant even think of becomes possible that is life changing. travel to conference or far out place for a job. Organisations such as GP Gardens or social worker staff areas. Business, groups and individuals who by paying create a surplus with which reduced rate supports communities. - If I can make an ethical business that has a tick box system at the initial stages of any piece of work. Earth Care: There has to be a sense that the design work is working with nature. People Care: Is the design work/ project beneficial to society? Are people involved in decisions that affect them? Are people's wellbeing actively improved by the process and outcome? Including me: can I enjoy this without stress, excess travel and doubts? Fair Share: Does the project make for a fairer world? Is it clear in vision and pricing that I wish fora fairer world? If a private project, what is the contribution to herbaculture projects elsewhere? Am I being mindful of barriers to my services whilst being aware of my own needs? - This may mean offering solutions to a client that they say they don't want. Explaining why helps. It is easy to spot others doing something 'wrong' so being ready to hear advice like: Why not use the wheelbarrow? or why take those leaves to the dump, they could be a mulch. BE adaptable and don't grow brocolli unless you have decent netting. - TV shows use diggers and wow they can have a massive impact. maybe offer options to clients but using what is there already is a fine start. I have tidied jungles of garden to find beautiful compost there waiting in an old heap. I never found it easy but recently and in the later land designs in this diploma I have really valued a design and low and behold it makes life so much easier, clearer and more enjoyable. - Funders and bosses may want everything accounted for but a community garden offers much more than we can know. Some respite, a place to heal, or an interaction that is a turning point. Create time to enjoy..... I remember Bill Mollison talking about places to have naps out of view in his garden so his wife didnt see. - Things grow, self seed, move about, die. People and animals influence the design so it needs to take all this into account and actively design in these factors known or unknown. - Herbaculture is about health and connection with plants. The Solution is the same as the problem, people are not getting connection with nature or other people. TA da! Make sure it does this then by inspiring a love of the garden, a respect for ones self and create opportunities for people to help e.g a PermaBlitz. (would a HerbaBlitz give the wrong impression? why not try). ​PRICE See the section 9.1 Price initially £1000 for a design with implementation and Maintenance Price on Request. I am aiming for a slow start gradually building up my reputation and capacity for implementation and maintenance. I will have a webpage for portfolio and keep fliers and marketing materials to direct interest to the website so that flexibility on Price and portfolio can make life easy. WHO CLIENTS MIGHT BE. This is linked with when I might not accept work. If I can bear in mind ethics and principles I can stick to just doing 'herbaculture' work. I have the option of doing work separately as a sole trader - but I want to use my time fully on this social enterprise. I did a zone sketch for preferred clients above. WHAT I NEED TO START - just start. I have one enquiry already and I know that i need to document, photo approve those involved and its with another social enterprise. 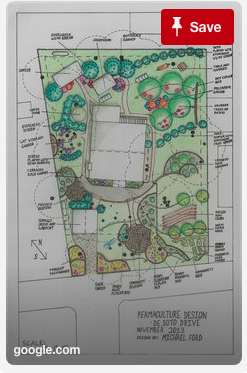 I also have funding secured for the community health clubs and I am going to try and get a herb garden/ community garden design linked in with the whole project so this is getting underway..... JUST START! ​Flow chart to start with and then getting to a state of readiness by summer 2018. Using the above Ideas will form the basis of the PLAN to CREATE the Method statement of the Design Service. A method Statement describes who you go about doing the design work, implantation and design. It covers Risk assessment and will highlight the order in which things need doing. It is similar to a Critical Pathway analysis. 0 Initial Contact - first site visit ideally asap but within 14 days and second within 28 days. 14 Arrange a site visit - payment? Client interview. 28 Design (possible to and fro discussion) - design within 2 weeks of site visit. Ideally design given to Client within a month of initial contact. 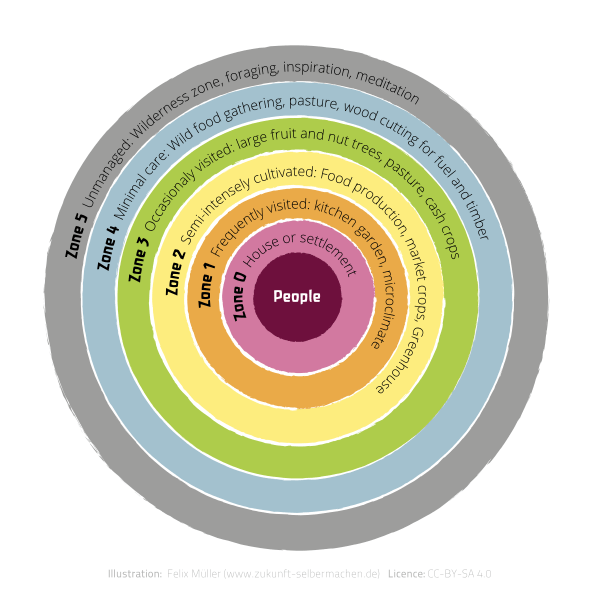 I think I need to ask the permaculture world if anyone wants to share their consultancy pack with paperwork, systems etc. I'd pay for it with the social enterprise funding I got. Any ideas? Working on this via my course at local college. Ethical design criteria Earthcare, Peoplecare, Fairshare. site visits. planning. lots of emails. chats. calls. solutions to how to implement and maintain. 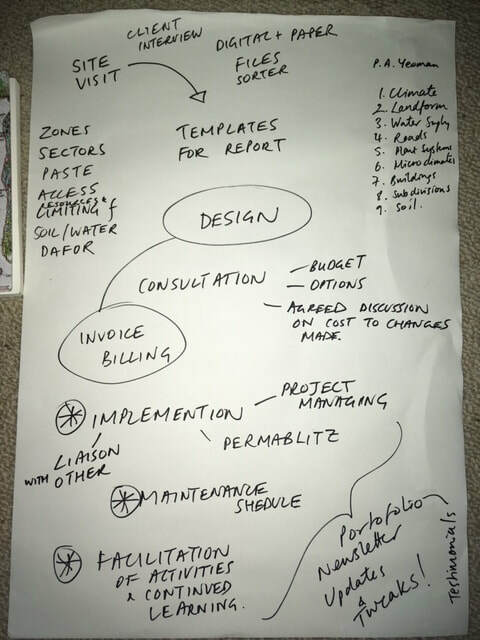 In the interested of Herbaculture CIC i will need to charge for my services but I will be always looking to support projects so instead of charging I may record my hours and put any in kind/ free design and implementation down to the CIC report. In practice I think that any community/ charitable work will have people and part of the work I do will be spreading the permaculture message so its all WIN WIN. 4) Maintenance protocol and Implications. This is something I will be looking for help with to develop in the future. I think the celebration bit is easier to do and just as important to build into the timeframe and budget! EVALUATION: DID THE DESIGN METHOD WORK? Using CEAP as a method has proved interesting for non land designs. Does it need the Implementation and maintenance aspects? If it is just the design then it feels like the pre document to accompany a project management proposal. This is precisely what I lack when designing though. I often jump in feet first and get on with something. At least this is helping me to intentionally design. ​Even If better if? The Implementation phase had got to a ready business: the website ready, logos ready, insurance ready and this design could finish with the finished product. I realise I had hoped to have a paying client's project to show in this design but I realise the value of it is to get my head around what is for many people a 3 year degree. I look forward to my first client. ............but I know why I'm where I'm at and I've started. - What has gone well is the thought that has gone into all of this. I am aware of templates that would be useful. I have an initial idea for a flier (pdf above) which is basic and refers a potential client to a website so info can be updated. I will try and glean some protocols and templates from someone or work through them myself as I go along. I don't want to have all this done too early butI want to make sure I know what I need and get help with graphics at a later date. - All the work I do will have an element of educating about it. I did a handout for a talk a few years back. The name herbaculture will involve explaining permaculture by default. As I hope to be working with community members this will be a big part of my social enterprise work. INSIGHT: I must make sure I include links to permaculture.org.uk and permacultureprinciples.com sites to get more information on my websites. 3) Get a portfolio of designs together. This will be in the website. I bought a video camera to document people, process and make videos of the work I am doing. I hope to use the flexible format of a website to create a portfolio. 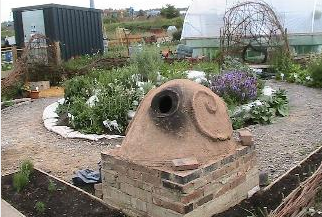 I have a few pictures already such as the herb spiral with clay oven at the People's Community Garden in Ipswich. I think I would summize that I only got half way towards being fully set up as a ready to go permaculture/ herbaculture design consultant. Give me a year of doing it and I will have it in hand. Unexpected? How much thought goes into setting up a business. The Herbaculture CIC design has taken 3 designs in this portfolio and I love the chance to get ready for my new business with these designs. I am adept now at using non land based design methods to get to a place where I know what Im doing and why....... Theres no looking back. And this one is is a bit high end and hard landscaping which is why I think they have prices for the design as they make money on the build (I assume). 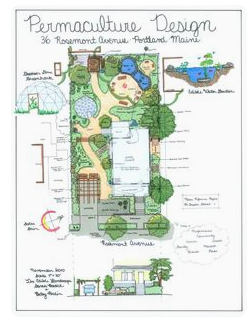 October 18 update: I am getting fantastic help with this side of my business dreams by going to college to formalize my learning in the areas of garden design. Permaculture courses were too vague on this.